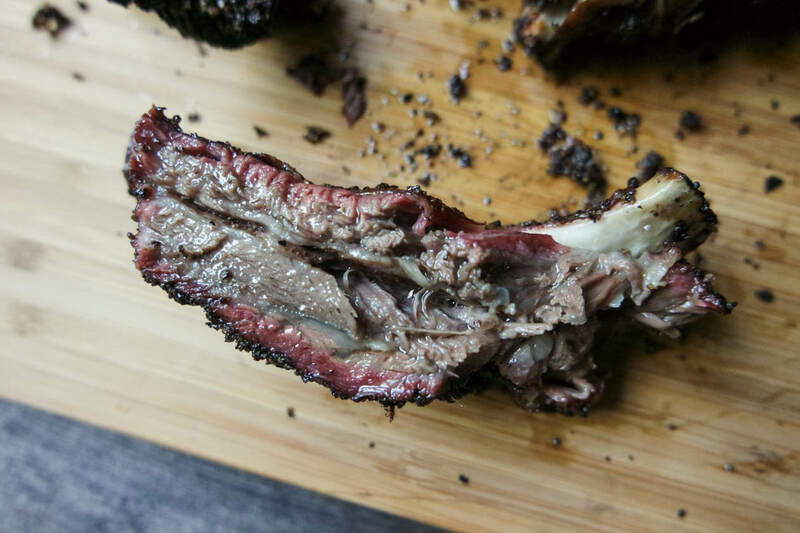 Meet the beef ribs you can smoke to perfection in just three hours. Sometimes life is about balance and compromise. Want to take an extra day to have a long weekend? You’ll have to work harder the week prior to make up for it. Don’t want to pay extra for pre-boarding privileges? No problem, but you’ve gotta be ok with sitting at the back of the plane. 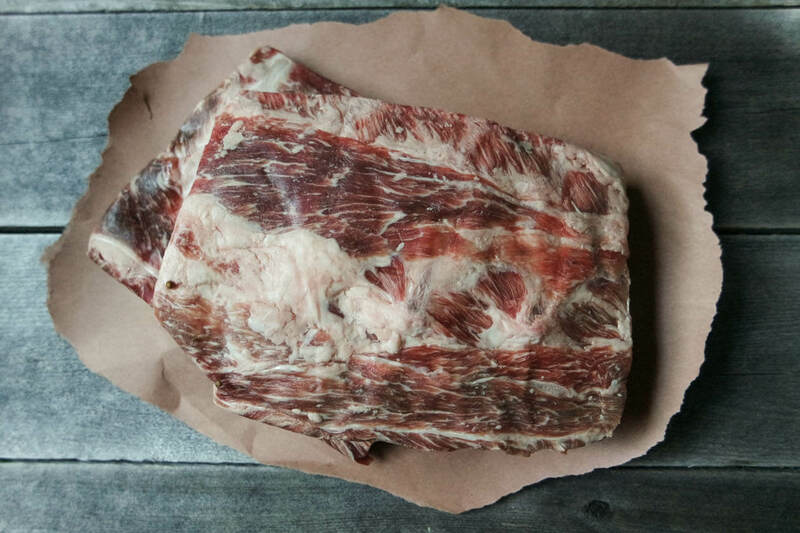 Those particular glorious specimens are from Lone Mountain – 100% full blood Wagyu beef raised in New Mexico. My point is, if you want the taste of barbecued beef rib in about half the cooking time, this is the cut for you, friend! From the time they hit the smoker to the time I pulled them off was three hours on the dot – which is crazy fast. 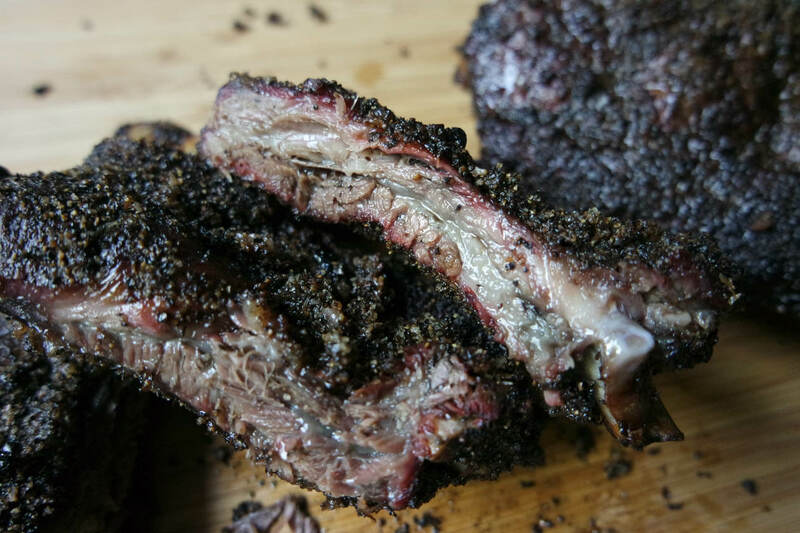 But of course there is a compromise: you’ll have far less meat than you would find on a chuck or plate rib. In fact, some folks may be downright miffed as to how little muscle is actually attached. But I think you need to approach them as you would a pork baby backs – a slightly different experience where you get to do more bone-gnawing due to the size. You can use whatever kind of smoker you have at home or prefer to use, the basic principles are the same. I use a Pitts & Spitts stickburner offset (that was generously supplied). Heat a smoker to 275f. I prefer to use Post Oak which is the traditional wood of Central Texas BBQ. Prepare the ribs by removing the membrane from the back. The easiest way to do this is to lift the one corner using a sharp knife, then grasp the membrane with a paper towel and pull it off. Pat both sides of the ribs dry with a paper towel. In a container, mix the salt and pepper. You can store the leftover mix in a zip top baggie for your next cook, as long as it hasn't touched the raw meat. 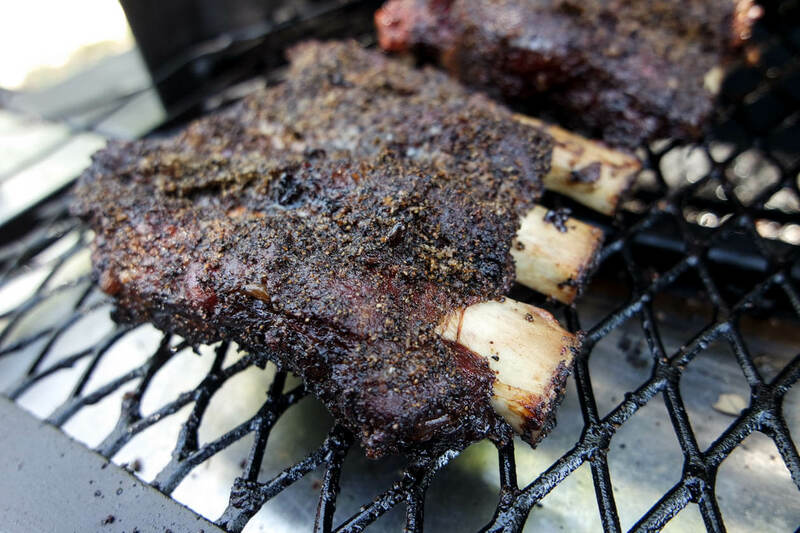 Apply the rub liberally to all sides of the ribs, coating well and pressing it in to adhere. 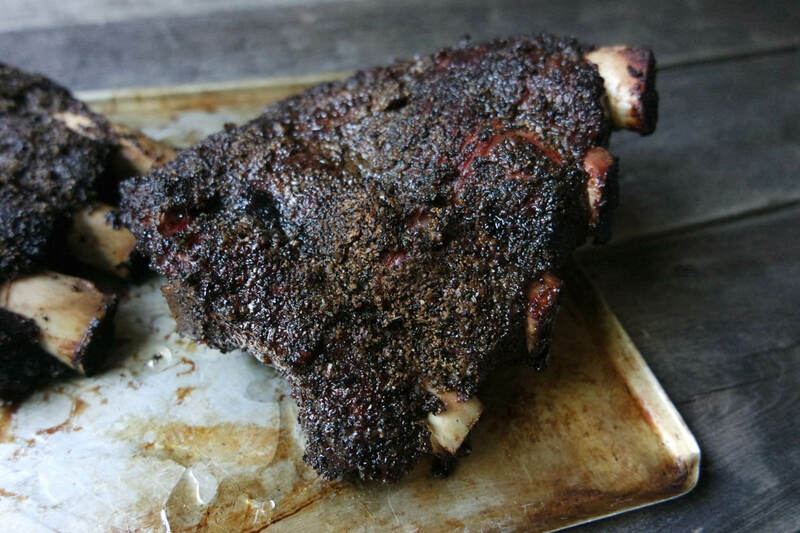 Remove from smoker, wrap in butchers paper (you can use foil, but it will ruin any bark that has formed) and allow to rest for 20-30 mins before eating.